Norland Lincoln Log Cabin: The Norland Lincoln Log Cabin with its pent style roof and canopy is an ideal cabin for almost any purpose. 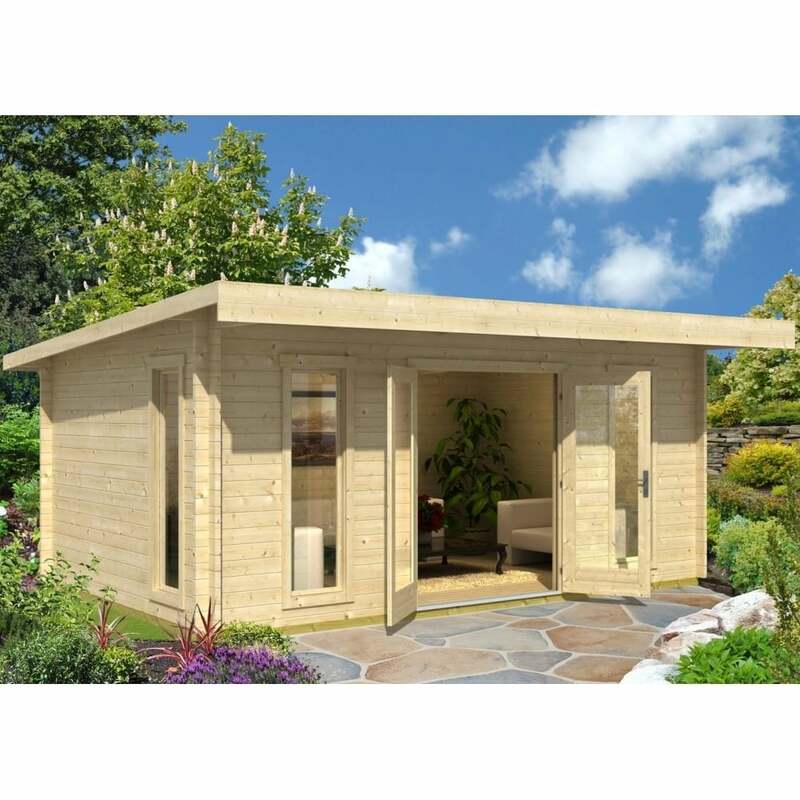 This Lincoln is extremely popular for customers looking for arather larger style log cabin which can extend their living space. With uses ranging from Summer House, Outdoor Dining Room – this cabin is simply perfect for those wishing to bbq throughout the year and entertain guests – even in the depths of winter. 44mm Wall Logs along with double glazing and the optional roof insulation is by far the most popular style of log cabin to use as a garden office, children’s playroom etc. With the addition of a small heater this cabin easily can be used throughout the year. The build of this cabin is simple and uses the traditional interlocking corner jointing system which does not require any screws or nails in the construction of the walls. The Norland range also feature chalet corner jointing to give that extra timber jointing for extremely good weather resistance.